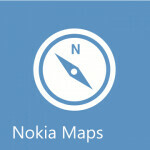 Nokia has updated its mapping application using new techniques and the hard work of local experts. The Finnish handset manufacturer says that it has added Israel and Serbia to Nokia Maps and users can now calculate routes and search for places in both countries. Turn-by-turn navigation for the pair will be available soon using Nokia Drive. In addition, Nokia has been working on making its maps more realistic and has focused on clarity and improved representation. The details on Nokia Maps has improved so much, the company says that you won't need to look at satellite images any more. The updated maps have more precise shapes with better details of roads, streams and coastlines. More information about wooded areas has been collected in Russia, Norway and Sweden. For those who like to walk, pedestrian paths now have improved coverage including maps of lesser-known paths. Less populated areas of Greece, France and Ireland are now covered by Nokia Maps. In Italy, Nokia has added the tunnel under Roma Tiburtina and in Germany, the roads to the future main airport in Berlin have already been included. To illustrate the painstaking work that has gone on in the last 18 months with Nokia Maps, during that time period 133,000 km of roads have been added or updated just in the U.K. alone. Mapping applications received a lot of coverage by us last year, and not all of it was for positive reasons. But hearing about this update has to make Nokia users feel better. Well, except maybe for those in Japan which is still nothing but a black spot on Nokia Maps. where did you get Lumia 920 in Cebu? Android OS - Google maps + Nokia maps = Perfect!!! no it's not. i didn't use nokia maps in my life, nor i know how good they are, but what i do know is that google maps has almost the whole globe covered (i mean basic street mapping, lets not get to street view), so until nokia covers what google already has, it's not even close of being better. It differs from country to country. In my region (India) nokia maps is better since google maps misses some streets. I think these addition of maps will benifit offline maps. While google maps needs constant 3g/4g/wifi connection. Every maps has their advantages, Google's too. Isn't Nokia Here on android? you can access it via web browser,still no app for android. Yawn. Wake me when they add useful traffic reporting in the US. This is the most unwelcome update.